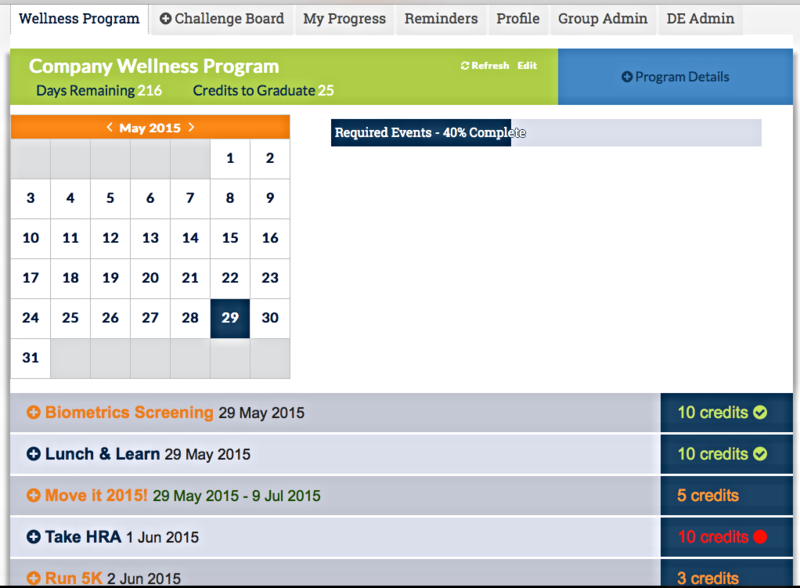 DailyEndorphin is pleased to announce the launch of its new wellness “events” programming module. With this highly configurable new offering, DE’s annual clients may now set up, run, and report on many components of its wellness events programming, including participant goals & incentives for the entire year as a value-add service at no additional charge. Contact DailyEndorphin today at support@dailyendorphin.com for a demo! DailyEndorphin enables groups of any size to easily set up friendly, configurable “DIY” wellness challenges and programs based on recommended physical activity and healthy objectives. DailyEndorphin provides an interactive way to motivate and engage its users in healthy behaviors leveraging group dynamics, competitions, and goal-setting. DailyEndorphin enables organizers to easily set up manage and promote customizable fitness, weight loss, nutrition, and wellness challenge events and offers back-end reporting and administrative control.